British composer Segun Akinola has been brought aboard to score the upcoming eleventh season of Doctor Who. He will be replacing Murray Gold, who has been scoring the series since Doctor Who's soft reboot in 2005. One of the longest-running shows in television history, Doctor Who follows a time-traveling humanoid alien known only as The Doctor who traverses the entire universe in search of helpless beings in need of saving. On these journeys, the Doctor pilots a time machine known as the TARDIS (standing for "Time and Relative Dimension in Space") and often recruits new companions that are met along the way. And while the show's title music has more or less remained the same over the past 55 years (experiencing subtle changes to keep with the times), the overall theme music has changed with each of the twelve Doctors. 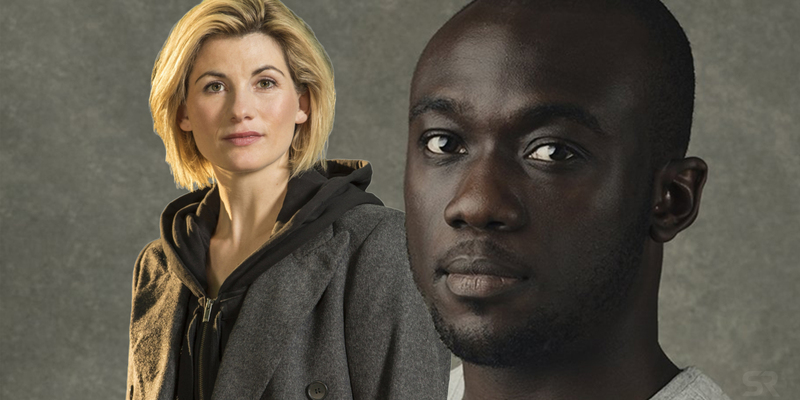 Now, Segun Akinola has been revealed to be Doctor Who's new composer, replacing Murray Gold, who has been nominated for several BAFTAs for his work on the show. Over the years, the composers on Doctor Who have covered a fairly wide stylistic range - including a more subdued electronic composition in earlier seasons from composers like Dudley Simpson and Tristram Cary, and a more cinematic, orchestral style from Gold. And though Akinola hasn't yet released any tracks for the show, fans of Doctor Who can get an idea as to what sort of musical style the new score may evoke via his personal website. He includes a number of scores from various projects that he's composed in the past. While the primary focus of Doctor Who is reserved for its sci-fi elements and complex narratives, music has always played an integral role in the series. The title music has remained the same, but new composers have introduced updated tweaks; and every Doctor is given a new score with each regeneration. Now that Akinola has gotten the official blessing to score the new season of Doctor Who, his inclusion ought to conjure a collective sigh of relief from Whovians, as he's proven himself to be more than capable of giving the show a new and exciting sound for its brand new era.